Each of the 8 growers that we contract with subscribe to the same high standards and testing as Monaghan Farms. 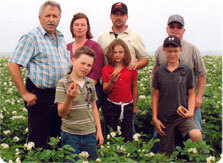 They all have been consistently recognized by the industry as award winning farms. 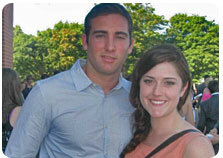 Located within a 20 mile radius of Monaghan Farms, they are not just partners, they are neighbors. Shore Lane Farms Ltd. is a family farm business located in Indian River, Prince Edward Island that is operated by brothers Kenny & Clair Maclellan and Kenny's son Billy, seven and eight generation farmers. The Maclellans produce high quality potatoes in an environmentally sustainable process with a three year crop rotation. As well as growing potatoes, Shore Lane Farms also grows food grade soybeans for Atlantic Soy Corp which are exported to Japan and milling wheat as rotation crops which allows them to maintain a three year crop rotation. Shore Lane farms has been growing potatoes for Frito-lay for over 15 years as well as for McCain Foods and look forward to producing top quality potatoes into the future. 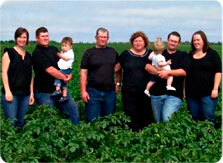 Shore Lane Farms has been a top 10 grower at McCain foods on a regular basis – winning 1st place in 2011! Marven Stewart has been growing seed potatoes since 1990. The farming operation consists of 400 acres of seed production annually. Marven has been a valued supplier to West-Isle Enterprises for many years. Since 2009 Marven has been contracting seed potatoes jointly with Monaghan Farms and West-Isle. The seed potatoes are the engine behind the growth of the business. 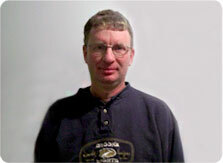 Producing high quality seed for chip growers is something that Marven takes great pride in. Marven’s team continues to be a strategic partner to the export business, investing in the latest technologies in the potato industry to drive efficiencies in their seed operations. Klondike Farms is currently owned and operated by John & Colleen Hogg and their two sons Adam & Bradley Hogg -3rd and 4th generations of the Hogg Family Farm. They presently farm 1500 acres and produce processing and seed potatoes, as well as cereal and forage crops. Shown in photo are Adam & Bethany Hogg and their son Landyn; John & Colleen Hogg; and Bradley and Melissa Hogg and their daughter Tatum. Hopefully the future of this family farm will be carried on by the 5th generation. Summerfield Farms Ltd. is a newly incorporated business partner with Monaghan Farms and is owned and operated by Derrick and Katelyn Curley. Their Farm operation supplies Monaghan Farms Ltd. with roughly 500 acres of chip processing potatoes destined for both foreign and domestic markets.